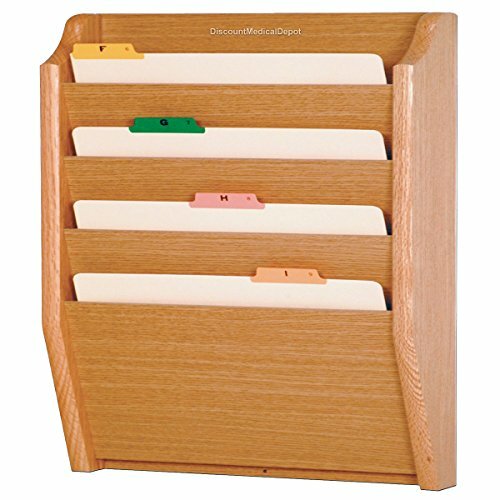 Our oak chart and file holders are an attractive way to keep files handy. File holder features furniture quality construction with 3/4" solid oak sides sealed in a durable state-of-the-art finish. Our unique overlapping design neatly displays and organizes charts or folders, keeping them tidy and visible in the least amount of space. Units are available in letter, privacy, legal and tabloid (x-ray) models. Made in the USA.